We don’t generally make New Year’s resolutions, but we are using the start of a new year to renew our commitment to physical fitness. We started the first week of the new year with a hike. 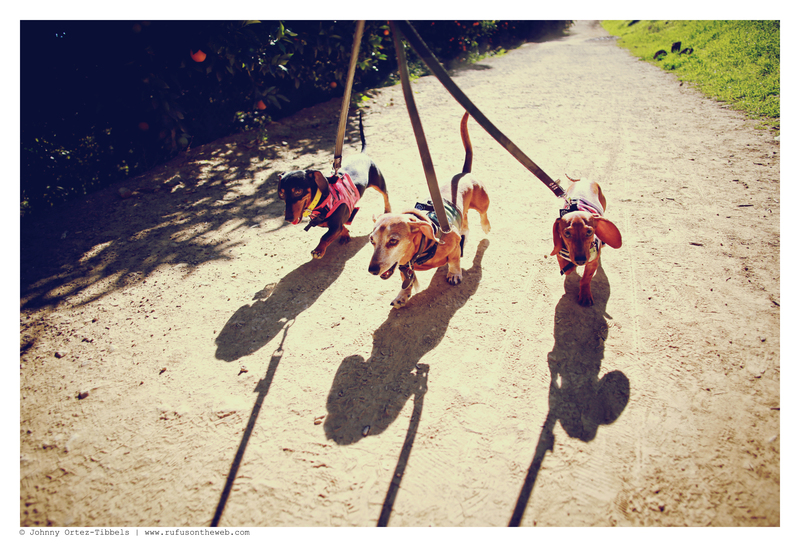 In previous years, our hikes were often sporadic. We will sometimes hike for a full month and then take a month off due to heat or other deterrent. However, this year we – or at least me on the behalf of my pack, want to see if we can be a little more consistent with it throughout the whole year. We going to try to hike 3 to 4 days a week. We have been successful in the past for keeping up this routine for a month or two, but I’m curious to see if we can do it for a full 12. 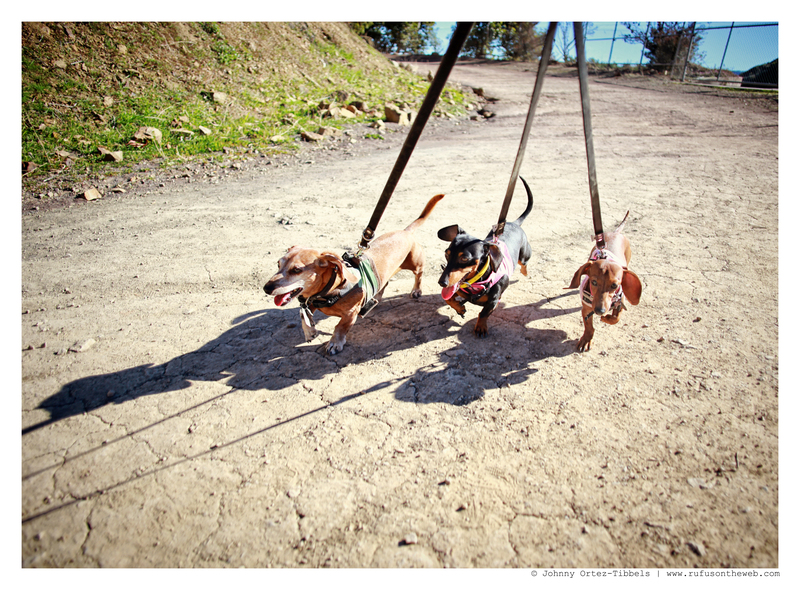 Do you have any resolutions and goals for you and your dachshunds in 2015?!? Let us know friends. 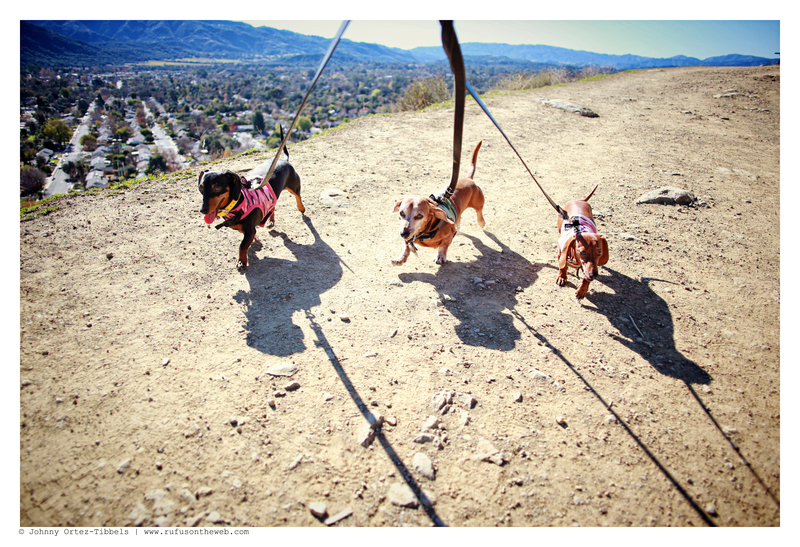 This entry was posted in Emily, Lily, Rufus and tagged #ADachshundsLife #HappyHounds, #black and tan dachshund, #dachshund, #DachshundPhotography #DachshundArt #OriginalPhotography, #hiking #exercise, #HikingwithDachshunds, #red dachshund, #smooth dachshund, #WienerDogs #HotDogs, doxies. Bookmark the permalink. if I could just get it not to rain so much up here in Seattle… Frieda will NOT walk in the rain!! Luckily I am flexible so as soon as I see a break in the rain, we are out walking!! 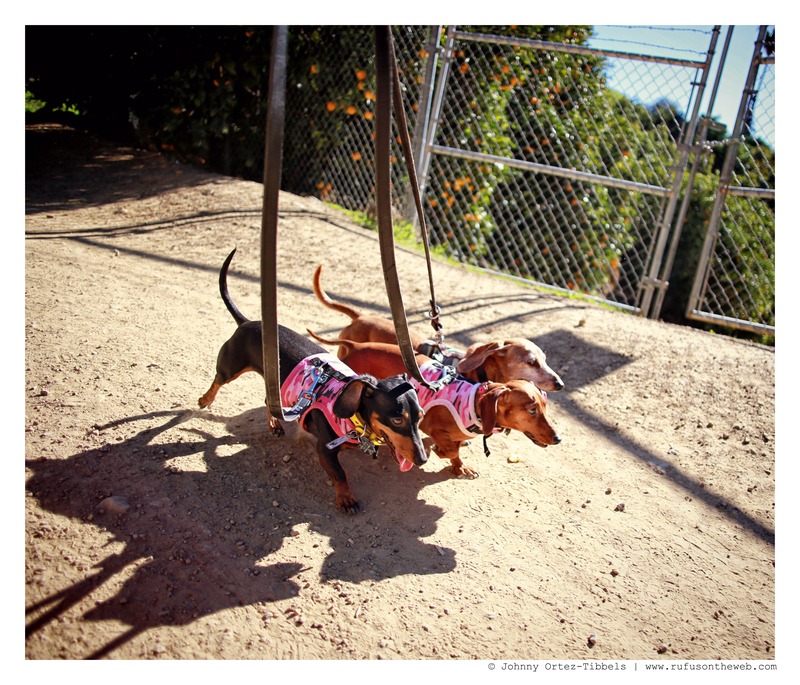 I have two dachshunds and LOVE this post. They are like my own children. I have Shirley, a 10 yr. old long-haired mini. She was a breeder mama at a puppy mill before she adopted me last year. This week we’re adding a 5 yr. old wire-haired mini to our family. Shirley is mostly potty trained, using potty pads when it’s too cold (today it’s 35 below zero windchill) or if I miss her body language cues. The new dog is housetrained to go outside. We’re hoping their potty habits will be compatible. Me & my guys are planning to spend more outdoor time together, too. If it will just warm up some! I can’t take the cold & the doxies don’t like it either. While I’m here, we made a trip to the vet this morning with my granddoxie, Milo. He has pneumonia & we are scared. Milo is a 12lb.2yr. old chocolate doxie & we’re having trouble getting him to eat & drink. He will lick honey & yogurt off grandma’s finger, but that’s all. Doc gave him 3 shots & wants to see him again tomorrow. Please say a prayer for him & we’ll be glad to know if anyone else has a tip to get him eating & drinking better! Thank you so much!